FugginSuggin.com: Chemtrail Update From the Makers of "What In The World Are They Spraying?" Chemtrail Update From the Makers of "What In The World Are They Spraying?" Check out the latest promo video from Michael Murphy, maker of the chemtrail documentary "What In The World Are They Spraying?". Mr. Murphy is currently working with a group of environmental activists and concerned citizens to get an ordinance passed in Maui, Hawaii, that will effectively outlaw any chemtrail/geoengineering aerosol spraying over or around the Island. The new video, entitled, "Why In The World Are They Spraying" was made after Mr. Murphy attended the American Association for Aerosol Research Conference in Orlando and after a trip to Chicago where he found out that weather is being traded as a derivative at the Chicago Mercantile Exchange. 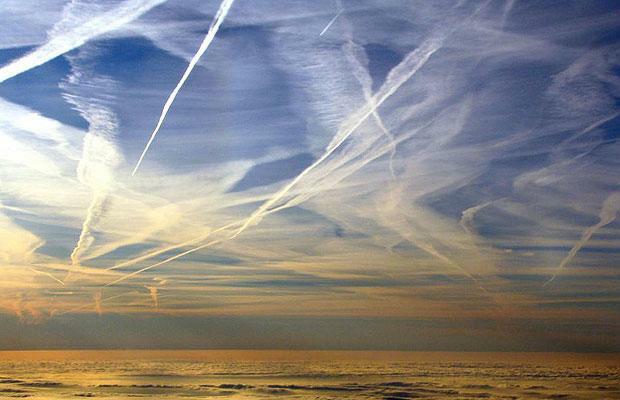 The latest investigation links weather control to chemtrail/geoengineering programs and illustrates how certain governments and corporations can benefit by controlling our weather.